I love the Olympics. I love the competition, the sportsmanship, the seemingly impossible displays of athleticism, and the unity of humanity (if only for a short period of time). I get goose bumps when the American anthem is played at medal ceremonies. I get tears in my eye, without fail, at the back-story vignettes about the athletes. I love that we can put aside politics for two weeks to cheer each other on and celebrate one another’s accomplishments. In honor of this year’s summer Olympics being in Beijing we’ve been eating our fair share of Chinese food. (Did you all see that opening ceremony? Yes, it was a spectacular waste of money … but visually, wasn’t it amazing??) Over the weekend it was sweet and sour tofu and General Tso’s seitan …. and last night it was dumplings. 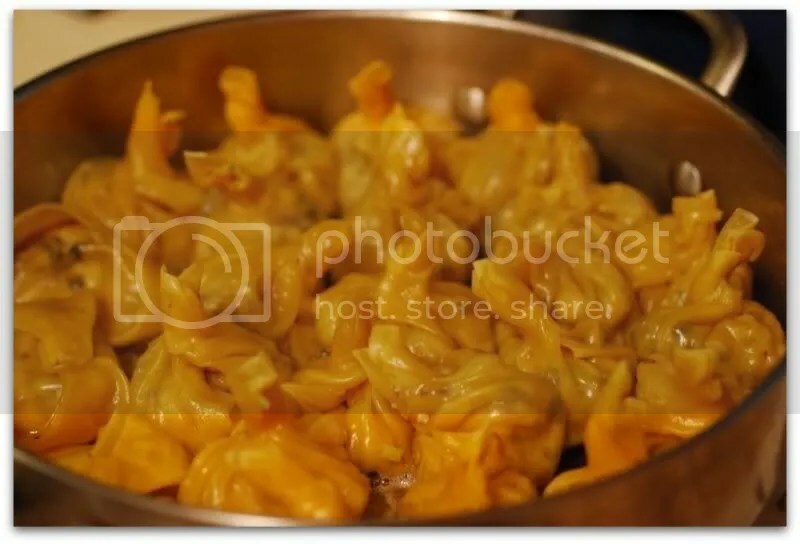 To be honest, I don’t know if these are technically dumplings, pot stickers, or won tons (do you know? If so, please enlighten me in the comments). Personally, I have a strong affinity for the word dumpling and, thus, these are dumplings. The filling in these dumplings is so good that I had a hard time not eating it all in small “quality assurance sample” tastes as I was prepping the dumplings. It’s a simple yet incredibly flavorful mix of tofu, mushrooms, ginger, garlic, soy sauce, chili garlic sauce, and scallions. The dipping sauce is equally as simple and is a perfect compliment to the dumplings. To make these dumplings crispy on the bottom yet soft and chewy all over, I used the steam-fry method described in Bryanna Clark Grogan’s Authentic Chinese Cuisine for the Contemporary Kitchen, which is described in the recipe below. It’s so simple, people! I promise you that you, too, can make restaurant quality dumplings for dinner – on a workday! One thing to take note of: be sure to read the ingredients list when purchasing dumpling wrappers – many contain egg. 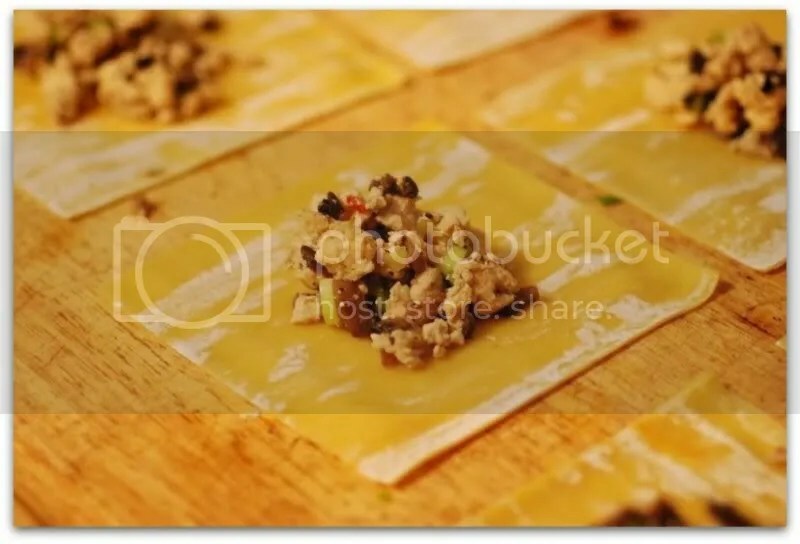 This recipe will make 24-30 dumplings, depending upon your wrappers. Enjoy “sampling” any leftover filling! 1. Heat the oil in skillet over medium heat. Add the mushrooms and sauté for about 2 minutes. Crumble in the tofu (make sure it’s good and crumbled – no big chunks! ), ginger, garlic, soy sauce, and chili garlic sauce and cook for 5 minutes. Stir in the scallion, remove from heat, and allow to cool for 5-10 minutes. 2. To prep the dumplings: place a generous 1 tbsp of filling in the center of each won ton wrapper. Keep a cup of water close at hand, and use a fingertip to moisten the edges of one wrapper with water. Fold up two opposite corners to meet above the filling, and then bring up the remaining two corners to meet in the center. Press and pinch the edges together, and then give them a twist to seal the deal, er, dumpling. Repeat this step with each remaining wrapper. 3. Heat 1 tbsp sesame oil in a large non-stick skillet over high heat. Swirl the oil around the pan to ensure even coverage. Place the dumplings in the pan, twisted sides up, and turn the heat down to medium. Once the bottoms begin to brown – about 1 minute – pour in the water and cover the pan. Cook the dumplings until the water has evaporated, about 5-7 minutes. 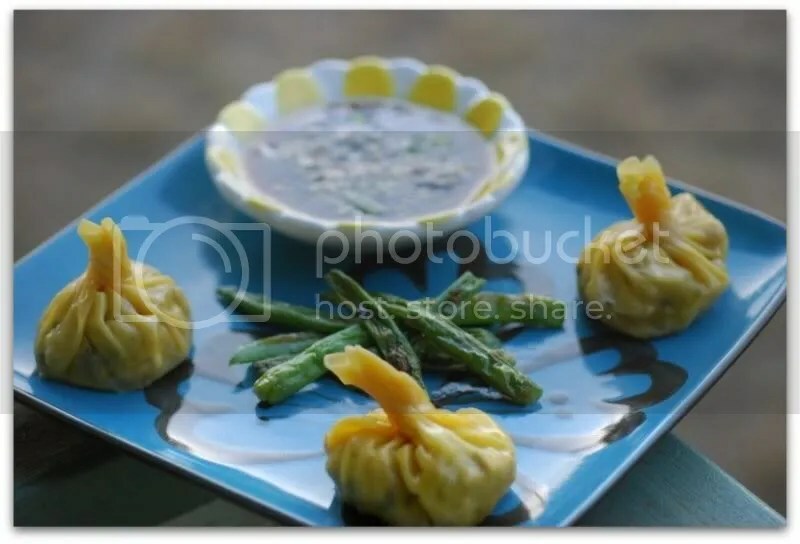 Serve with simple dumpling dipping sauce (below). Mix the liquids together thoroughly, add in the scallions. 1. Heat oil in a skillet over medium-high heat. Add the beans and cover the pan. Remove the cover after the beans begin to turn golden brown and puckered – about 5-7 minutes. 2. Add the ginger and garlic, sauté for 1 minute, and serve. For extra kick add hot pepper flakes. Wow–that filling *does* sound good! And your dumplings look beautiful, by the way! I love Olympics, and I love whatever you call these Gail. They were delicious! Keep on enjoying the Olympics and your Chinese feasts! I had to scrape my jaw off the floor during the opening ceremonies. 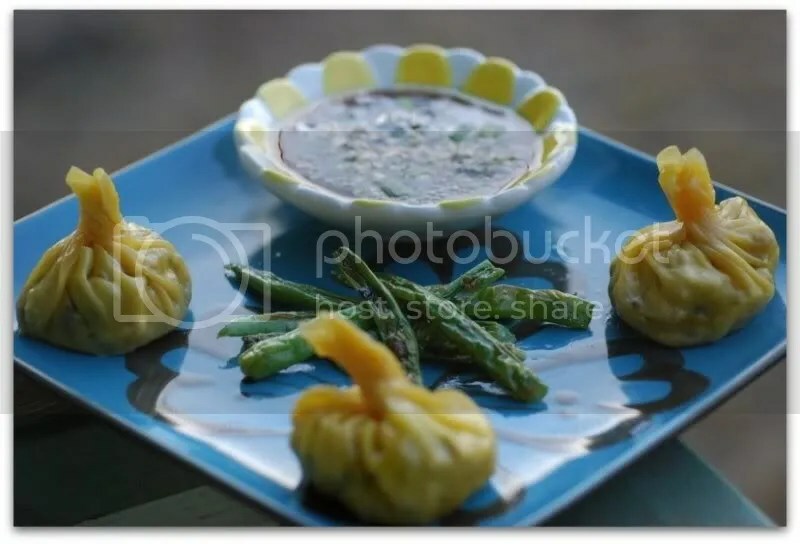 These look delicious – I adore dumplings, but never been game to make them. 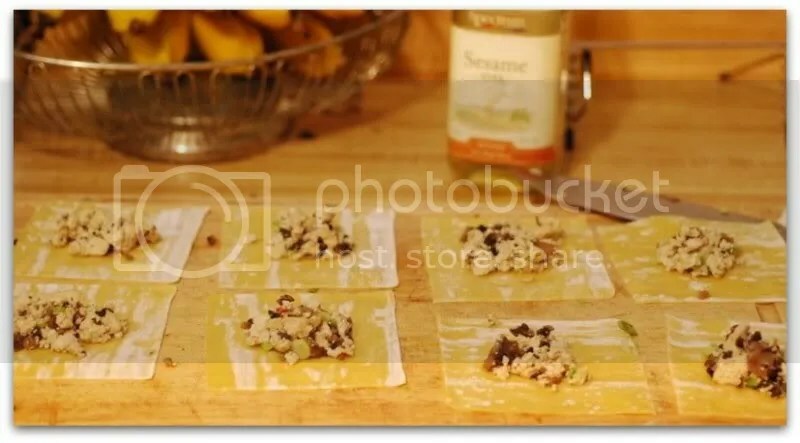 I am so excited about trying this and cursing myself that I don’t have everything I need here so I can make these for dinner tonight! I actually boycotted the opening games, but am very much into the games! Woo hoo! Those dumplings look delicious! After traveling to Taiwan, I really appreciate the amazing variety of dumplings (and how satisfying they are). It’s great to hear from all of you! A dumpling update: I want to stuff everything into little wrappers and make dumplings for dinner every night. I love the little bundles of goodness!